Choose from our powerful 42 foot motor yacht 'Santo Cristo' with its ample deck space for partying in comfort, or our superb 46 foot cruising yacht 'Tonic' for a sailing experience where you can be 'hands-on' or just 'laid back' as you wish. A full day (0900 to 1700 say) would comprise introductions and safety briefing, depart from Chatham for a tour of the river Medway sights and history - as far as the Thames estuary forts and wind-farm - and back, with lunch under way or at anchor. Your guests can drive the boats if they want or just enjoy the ride and the company. Getting out on the water – whether it’s a gentle luxury cruise or an exhilarating yacht race – is a great way for people to get to know each other better away from the confines of the office or conference room. You can reward staff and encourage ‘esprit de corps’, or you can entertain your most valued customers in a unique way that they’ll enjoy and remember. And because sailing a yacht is all about teamwork, you can use this completely different environment as a vehicle for management development or team-building and give your people an enjoyable and inspiring time. Choose from a wide variety of possible formats – from a day or pampering on a luxury motor yacht to all-action yacht racing. We can tailor the day to your exact requirements or interpret a broad brief, and catering can be anything from a nourishing ‘seaman’s lunch’ to an elegant 4 course buffet aboard. Anything is possible! And whatever you choose you can be assured that we will use our skill and experience to deliver a day that’s safe, well-organised and enjoyable. And it needn’t cost a fortune. Our prices start from just £100 per person for a day. Look at the options below and call us to get more details or discuss your own ideas. We’ll then send you a proposal including prices and catering options. 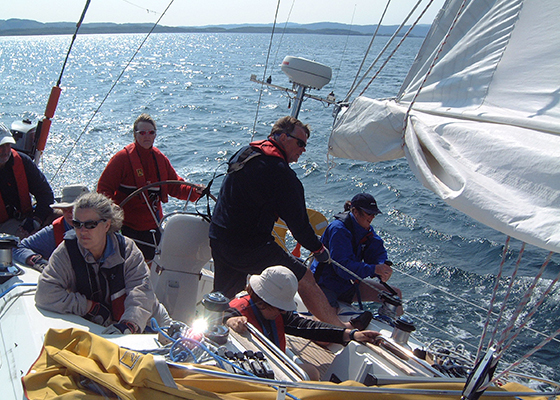 Enjoy an active day out on the water learning to sail or extending your skills. This is all hand-on with an experienced sailing instructor to show you the ropes. A full day (0900 to 1700) would comprise introductions and safety briefing, departure from Chatham lock, basic sail training and then, depending on winds, a cruise down river into the estuary and back. Lunch at anchor and later, if the crew are up for it, we can set a spinnaker. The emphasis is on relaxation and enjoyment but with full involvement in the sailing. 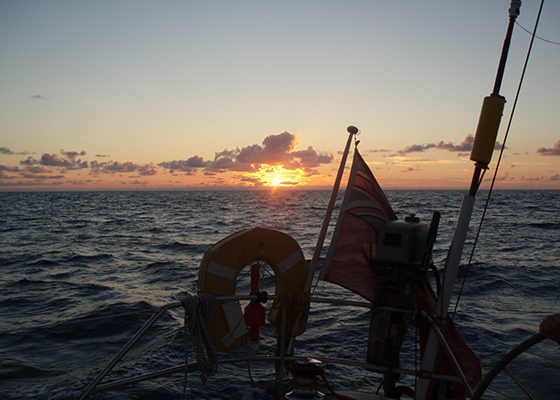 For a real adventure join us for a weekend sailing across the channel to France. We assemble at Chatham on a Friday evening, brief, and cruise down the Medway to an anchorage. Enjoy dinner aboard and then get some sleep before an early hours departure for France. This passage is 50 miles down the Thames estuary and across the traffic lanes of the Dover Strait. It takes typically 8 hours. We take dinner ashore in France and then head back to Chatham early next morning. 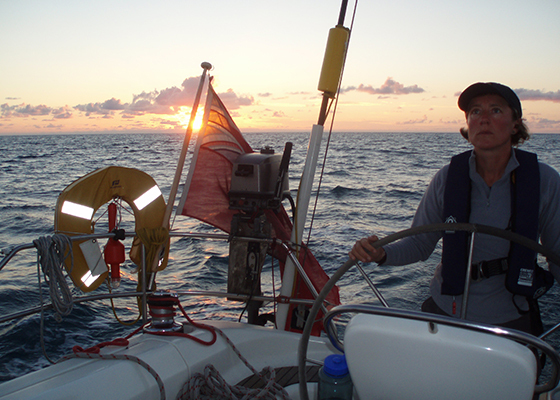 You don’t have to be an experienced sailor – beginners are welcome so long as they are up for the adventure and accept that if the weather is rough there could be a little seasickness. But We ensure that its always safe and any discomfort is quickly outweighed by the sense of achievement. This is an experience to remember for the whole crew. For the thrills of speed under sail and the challenge of sailing a yacht well as a team, a day of race training is perfect. You can make it just a fun day out or a team-building session. An experienced instructor and racing skipper will give you all the training needed to be an effective crewman or woman and you will be amazed at how far you can progress in a day. For a group of 8 to 14 we can run a day of match racing between our two identical Jeanneau 35s. 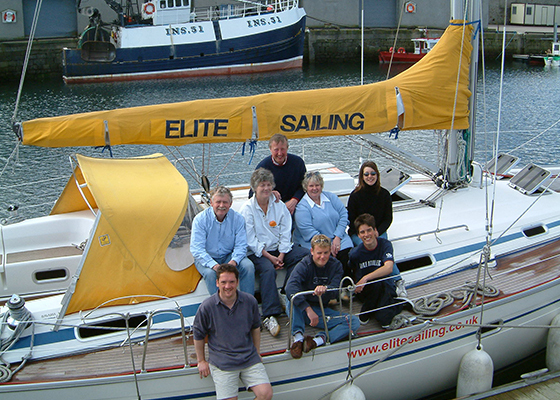 Alternatively for a group of 4 to 8 we can run a single yacht on a race training weekend. This comprises training on the Saturday and then participation in a real club race on the Sunday. Enjoy a spectacular cruise up the Thames from Chatham on the Medway to Tower Bridge. Stay overnight in London (aboard or ashore) or return home by train. Join on the Sunday for the trip back. Or stay for the round trip. Time ashore for shopping and entertainment. Motor yacht trips usually include a cruise above Tower Bridge through central London. Weekend and week day options.